Tomatoes and Italians are linked together in the public psyche, that is why I requested a review-copy of this book. 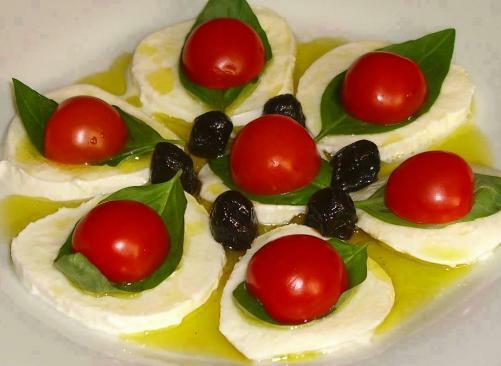 So many classic Italian dishes rely on the sweet, tart, fresh flavor of tomatoes. 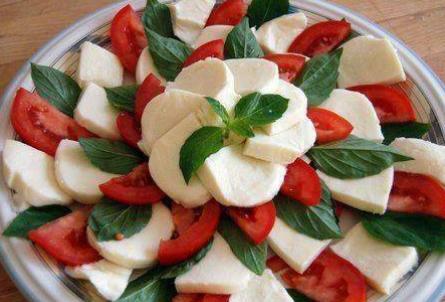 In Italy, people who have a bit of land and enough sunshine usually try their hand at growing tomatoes. Be warned: once you start growing your own, you will never turn back, as I know from personal experience. The author is preaching to the choir in my case. I have been growing my own tomatoes for years, for the flavor. 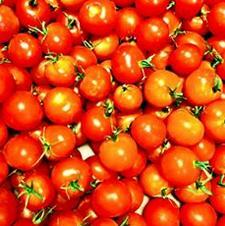 Anyone who grows tomatoes, and spends the time and effort needed to grow them well, does it for the flavor. You may find yourself living without fresh tomatoes between your last harvest of the autumn and the first of the following spring. You will realize that those round, pinkish red things that are available in the stores bear no resemblance at all to the real tomato, for no other type of homegrown produce so far exceeds in quality that which is purchased. ...the "must grow the hybrid" contention was just not true. The non-hybrids/heirlooms I grew equaled or out-yielded the hybrids in general, with far superior flavors and variety. And that came with the benefit of being able to save seed for next year's garden. You are instructed how to save your seeds for the next season, saving money, but you are also encouraged to participate in a large seed exchange program, to get seeds for other tomato varieties for free. In the 250 pages 250 varieties of tomato are featured with image and description of the tomato's unique qualities. 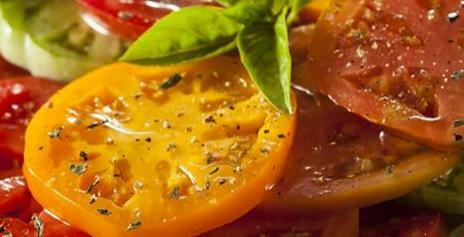 The 10 tastiest tomatoes are highlighted, so every tomato grower can hit it right with the heirlooms the first time out. The author provides a summary history of the tomato, but really, he offers everything you ever wanted to know about tomatoes, and then some! There are even some recipes, along with canning instructions and tips for people who would like to breed their own tomato variety, which turns out to be much easier than it sounds. If you are inspired by the book to grow your own tomatoes, the author provides a helpful troubleshooting section, and a most often asked questions section. He even has USA regional growing tips, and tips for Eastern Canada, along with a full Resources section and Index. 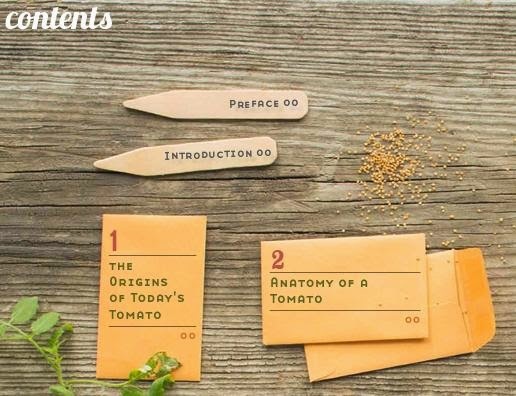 This artistically presented, information-packed book is a wonderful gift for any friend or family-member who grows tomatoes, or who wants to grow tomatoes! The author and I are not the only ones who understand about the quality of homegrown tomatoes. There is a wonderful song written about them, that captures the enthusiasm of all tomato growers. 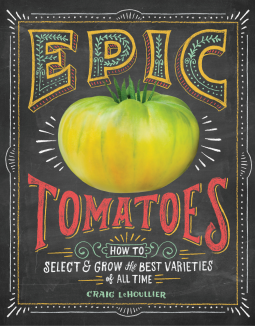 Epic Tomatoes is published by Storey Publishing, LLC, publishing books for country living since 1983. 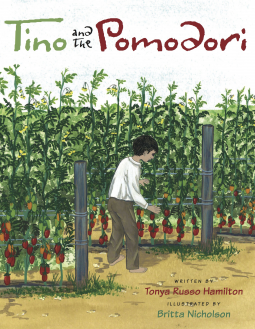 On this book review site I have a review of a wonderful picture book for children that introduces them to homegrown tomatoes by recounting the story of a young Italian boy who helps his grandfather grow tomatoes for family and friends.